Eltronicschool. - This is one of the best digital signal processing book for you who want to learn more about digital signal processing in this time. 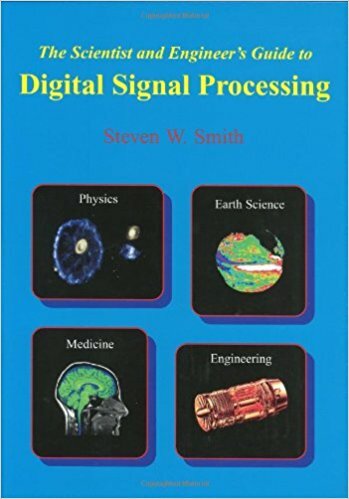 This book is titlled The Scientist & Engineer's Guide to Digital Signal Processing 1st Edition that written by Steven W. Smith. In here we will give you global description about htis book of The Scientist & Engineer's Guide to Digital Signal Processing 1st Edition by Steven W. Smith and then we will give you some opinion of the reviewer of this book and the last we will give you link to read more this a book. From editorial review of Amazon site describe that this is the hardcover edition of Smith's classic book. It is also available in softcover under the title: "Digital Signal Processing: A Guide for Engineers and Scientists." The softcover version is slightly less expensive, while the hardcover edition contains an additional 23 page study guide to help newcomers to DSP. The Author's recommendation: Choose the hardcover edition if you will need DSP in the future, and the softcover version if your need is only short-term. Jerald M. Cogswell review that said "I started reading this book online by chapters because I wanted to learn about Fourier Transforms. That reading exceeded my expectations on my understanding without getting deep into the weeds of mathematics. I was reading it online so often, I decided to go for this hard copy. I find new chapters in the hard copy such as digital image processing and the Z-transform that were not in the online version. The chapters are well organized and any engineer or serious experimenter or inventor will be able to select a specific topic and understand the concepts of Digital Signal Processing without a deep mathematics background. You will need a good foundation in high school Analytic Geometry and the Pythagorean Theorem. Basic calculus would help but you only need to understand logarithms and what the Sigma summation symbol means. With that basic understanding, you will be on your way to being a DSP expert." Kimberly Craft review that said "This is an excellent college-level introduction to digital signal processing, especially if you wish to learn more about the underlying theory and application; i.e., how signal processing actually works. Yes, there is some math, but it's not the primary focus, and the author is very upfront about this. The author's style is conversational and friendly, and he provides plenty of examples, graphs and pictures, with a focus on the actual mechanics of signal processing. This is in contrast to a number of DSP texts that emphasize the underlying mathematics over the mechanics, some to the point where one wonders how the actual mechanics of signal processing even work. This book fills in those gaps. It should probably be read before taking on a math-heavy course or used in conjunction with one. I would recommend it as a primer or tutorial before beginning a typical engineering course in DSP or to have on hand while working with the standard math-heavy text. It will really fill in the knowledge gaps."